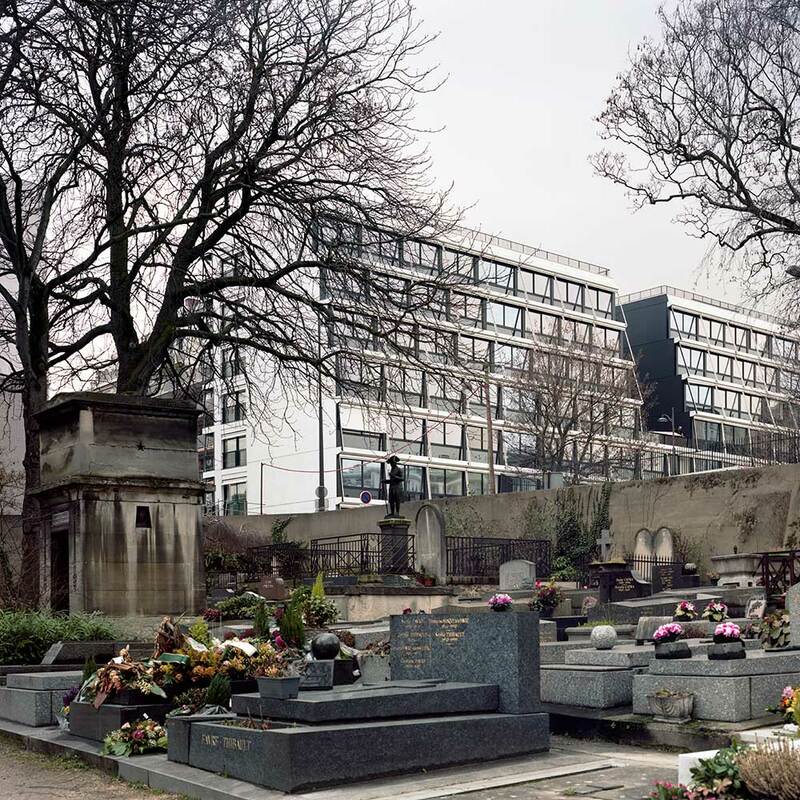 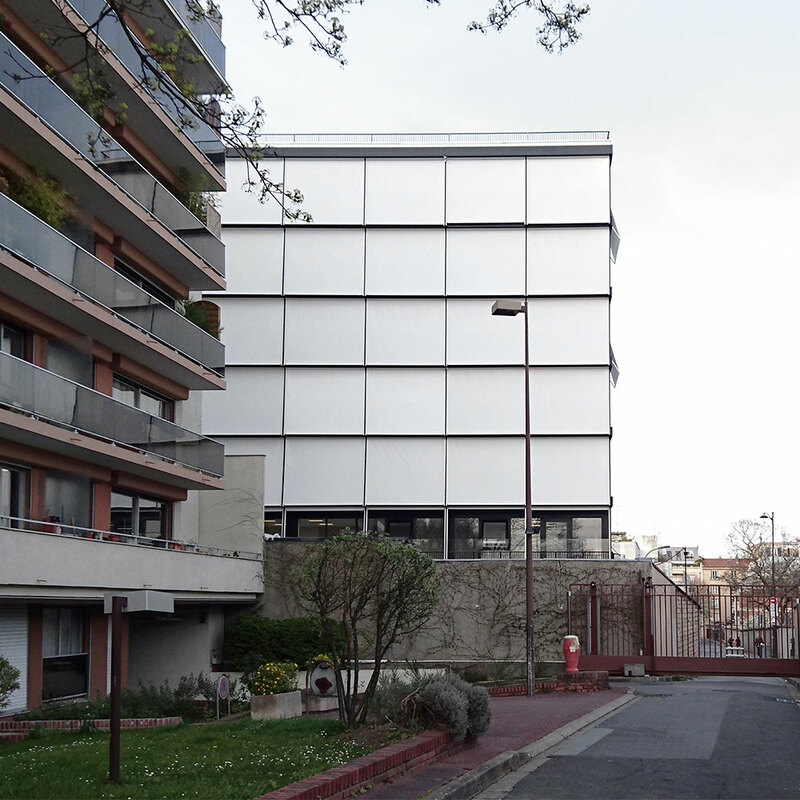 The project responds to the challenge of combining three different programs along Rue Stendhal in Paris : social housing, nursery and emergency centre. 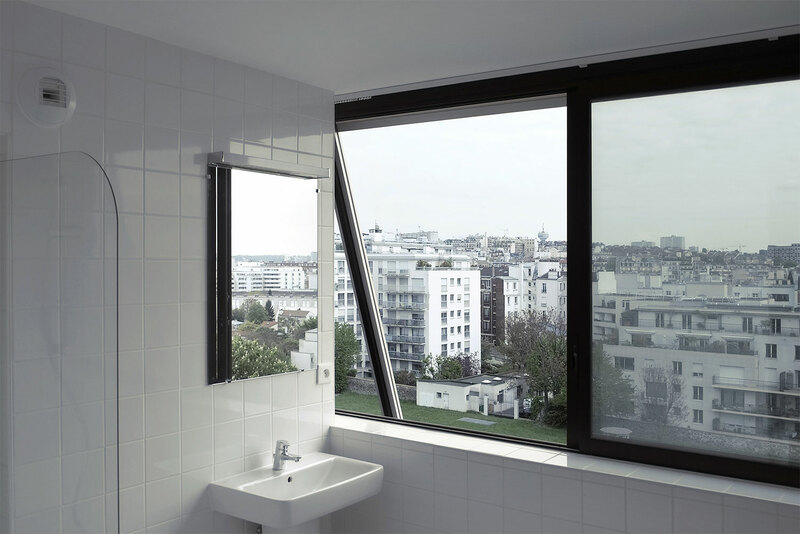 The organization of the building allows all three programs to coexist peacefully and take advantage of the unique features of the site such as: privacy, natural lighting in the nursery, independence, and large exterior spaces for the dwellings. 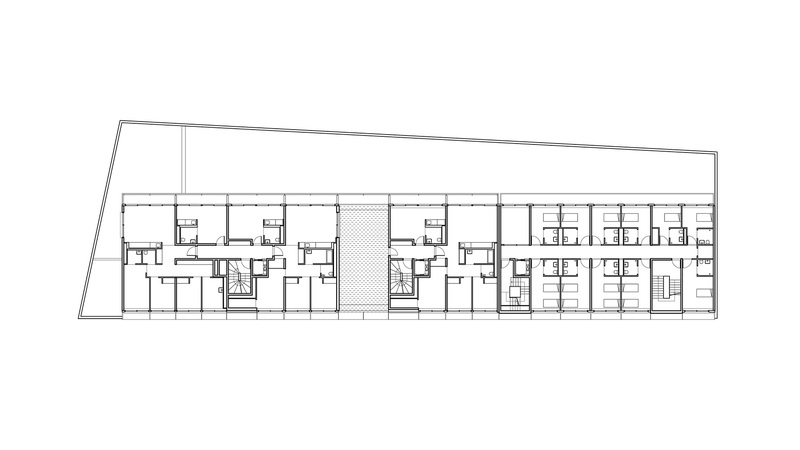 The emergency shelter is arranged to be compact and provides multiple views and orientations. 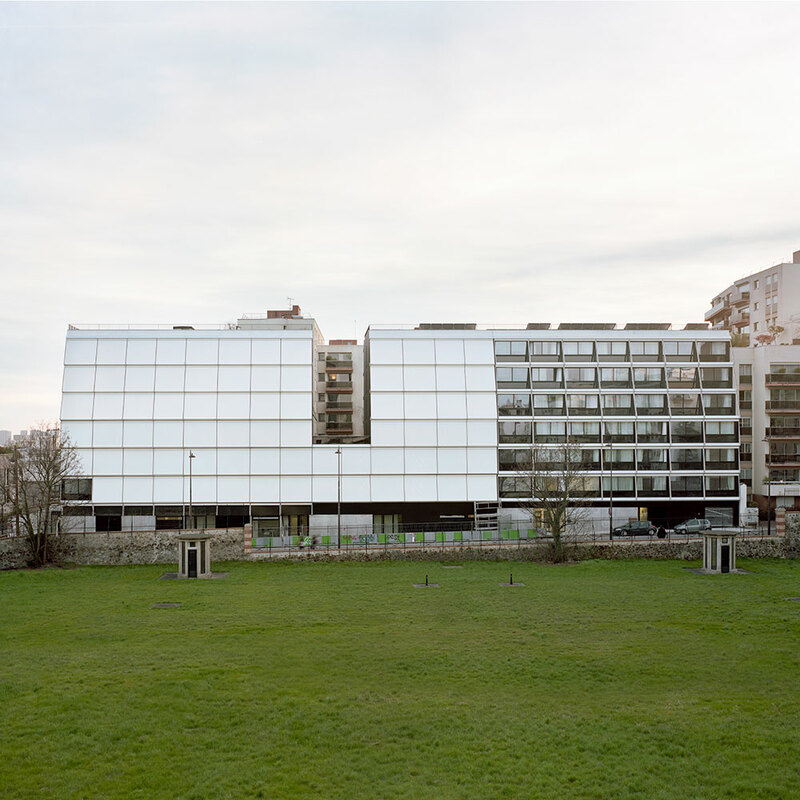 Sitting on a hill, the building stands in dialogue with the large horizon of the East Paris landscape. 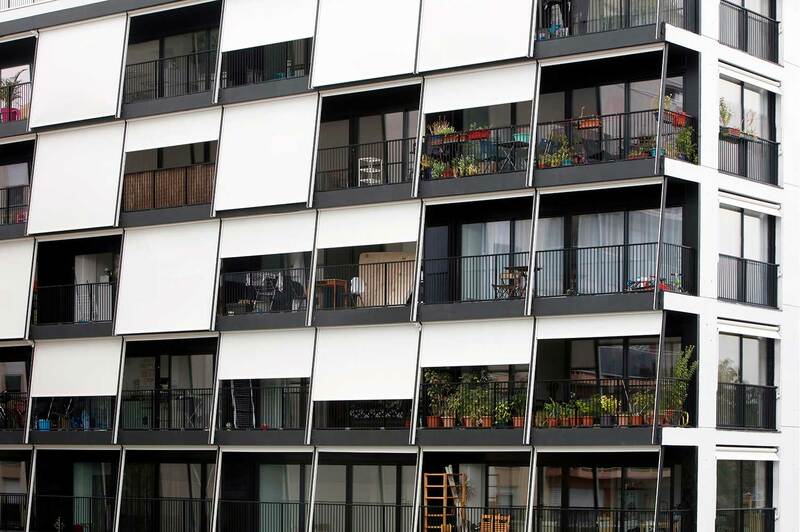 Its volumes are designed to maximize energy efficiency and user comfort. 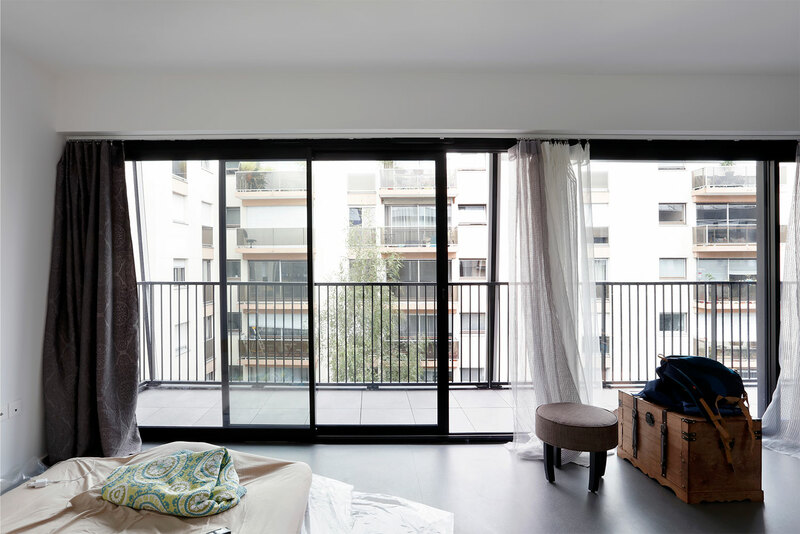 The courtyard, balconies and dwellings are oriented to achieve the best sun angles all year round. 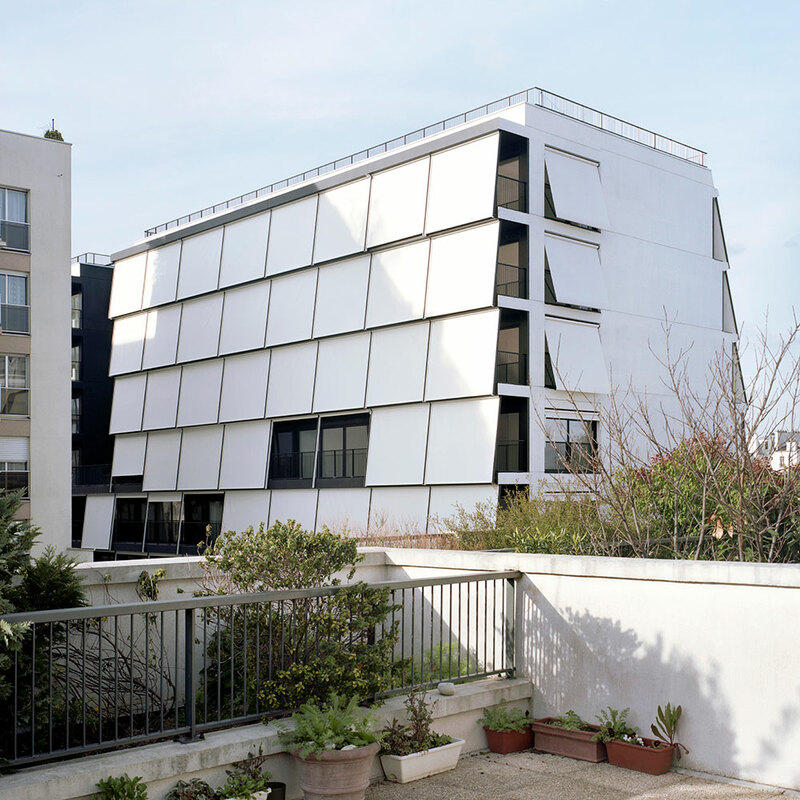 Each volume preserves distant views to neighbouring condominiums, and aims to blend cohesively into the skyline of the neighbourhood and eastern Paris. 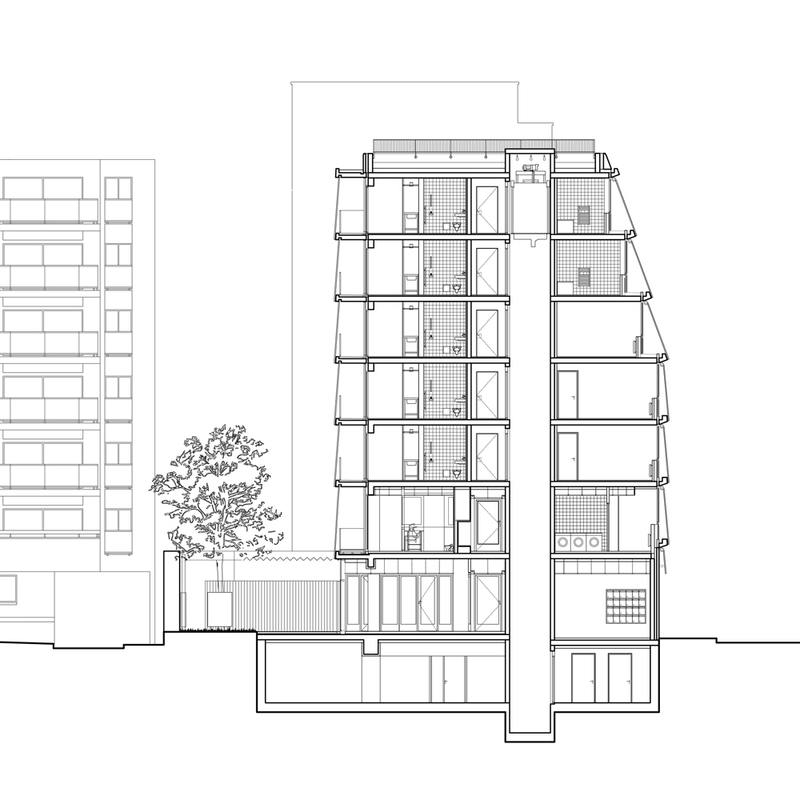 The inward facing elevation opens up to the linear garden at the rear of the building which brings light and fresh air into the dwellings and the nursery.